As you incorporate a Singapore company, your first goal should be to identify your target market. Get to know your target customers well, and maximize your efforts to appeal to this particular demographic. Most startups make the mistake of casting a wide net to target any potential customers. However, at the onset, it’s important to focus on your target audience in order to accomplish your short-term goals. As you gradually build a customer base and gain some momentum, you may then implement a more widespread campaign to target other market segments. The quickest and perhaps least expensive way to build your brand is via social media, where the right message can go viral in mere seconds. Social media has made “word-of-mouth” marketing so much easier and with substantially quicker results! Through such social media platforms as Twitter, Facebook, Instagram, and Pinterest, among others, you can easily create a buzz and generate brand awareness. Engage your customers (and potential clients) by posting relevant links, notes, videos, photos, infographics, etc. Again, in this context, it is imperative to know your target customers well, so that you can post content that will most likely appeal to them. In order to harness the full power of social media, you need a large number of followers who will “like” and share your content. The operative word here, of course, is “share”. If no one shares your message, how can it reach your intended audience? With this in mind, incentivize people to spread the word. Consider giving away vouchers, discounts, cash prizes, and other perks when people talk about your product or service. This will not only help spread the word; this is a fun way to generate some buzz as well. If your Singapore incorporated firm doesn’t have a budget for a massive public relations campaign, consider getting involved in community activities to enjoy some media mileage. Take on a leadership role or provide sponsorships to various well-publicized events. In line with this, contact local news outlets and radio stations when promoting these activities. This will give you an opportunity to introduce yourself as well as your business to the mainstream audience. At the very least, the media mileage you gain will help you establish your presence in the local market. Partner with other firms that offer complimentary products or services. Collaborating with an established brand will not only help you gain credibility, it will also generate some referral business for your startup. Strategic partnerships can come in diverse forms; i.e. bundled services, co-branding strategies, synchronized promotional activities, etc. Need help in setting up your Singapore company? 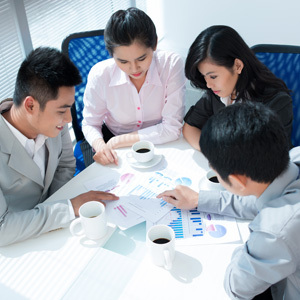 Schedule a consultation today, to get the best advice for Singapore Company formation.